Chicago has always been home for me. I grew up in the city and now go back and visit my parents and friends frequently, so today I’m sharing where to eat in Chicago – breakfast, lunch and dinner recommendations. Living only a little over an hour away, my husband and I are known to drive down for a piece of pizza (there’s just nothing like Chicago style pizza, done right) or dinner on a Tuesday. 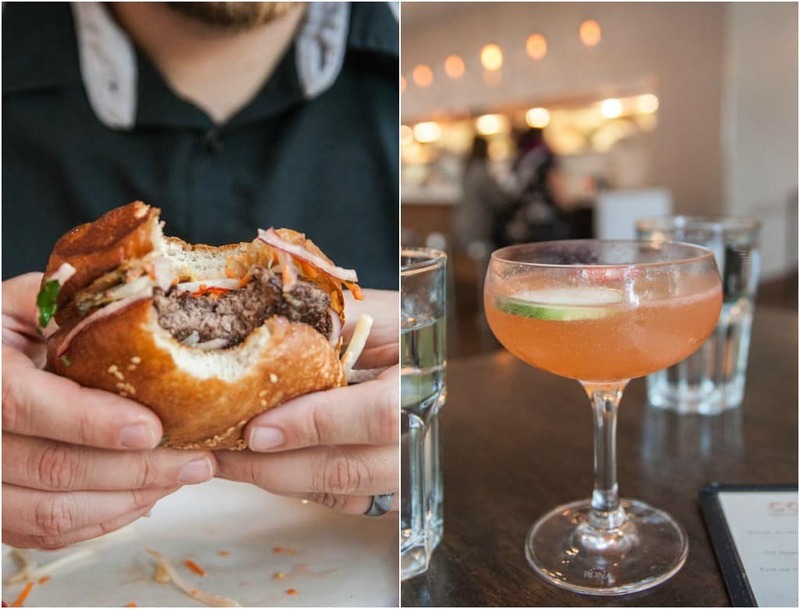 Chicago is such a big city but has all these little neighborhoods that don’t make it feel daunting and the food scene – it is simply incredible! 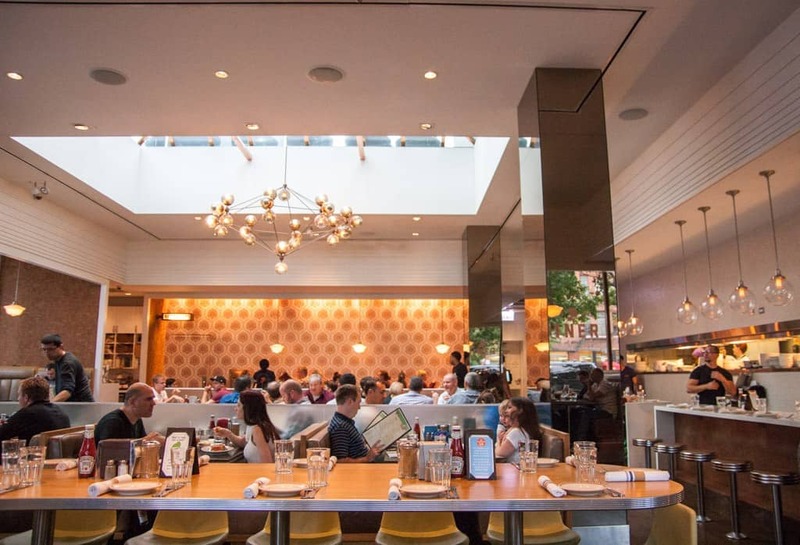 Little Goat Diner Chicago – The Little Goat Diner (also one of my dinner recommendations) serves some of the best food I’ve ever eaten! Their menu boasts breakfast served all day (brinner anyone?) and freshly baked bread. I love all their sides to breakfast and they have a whole ‘tater’ section – yum! 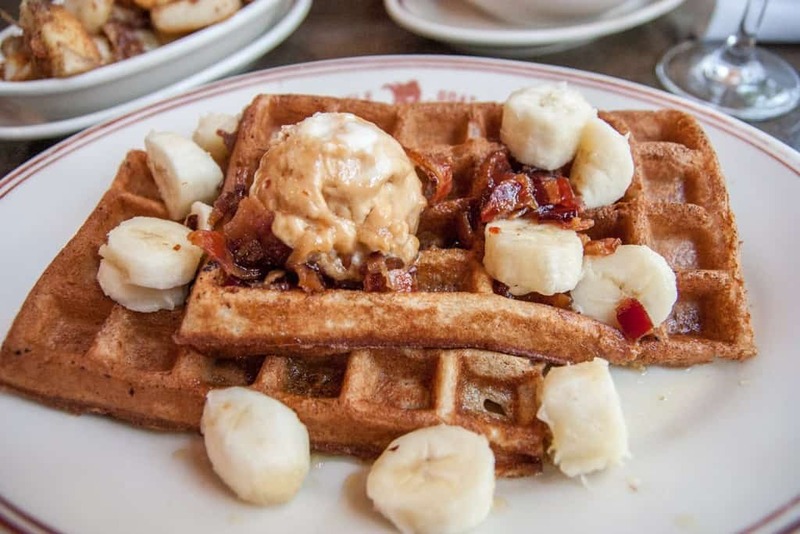 Their waffles are off the chart amazing, crispy and soft– the Fat Elvis (banana, peanut butter-butter, bacon maple syrup) is a menu item not to be missed. Also, the Razzle Home Fries are addictingly delicious! Tip – they have a really cool roof top bar worth checking out, and they also have a café/bakery with delicious coffee and a bar where you can take a peek through a window and see them baking their amazing bread. Ann Sather – Danish breakfast/brunch restaurant that gives you two giant cinnamon rolls as a side with your order! There is always a crowd, but the wait is never too long – the throughput is fantastic there….and did I mention that you get TWO cinnamon rolls as a side? Grab a friend and be prepared for some tasty breakfast food! Lou Malnatis Pizza – Chicago is known for its deep dish pizza, and none is better than Lous! My first job at 16 was at one of the Lou Malnatis locations, not that that swayed me in any way (my family has been eating there since as long as I can remember) but it really is the BEST Chicago deep dish pizza. My hubby and I have driven down from Milwaukee to Chicago (only an hour and a half drive) on a weeknight for Lous on more than one occasion. Get the Malnati’s Chicago Classic – it’s made with Lou’s lean sausage, some extra cheese and vine-ripened tomato sauce on Buttercrust. It’s authentic Chicago! If you’ve never had Chicago style pizza – know that the sauce is on top! Publican Quality Meats – One of the best delis, period! You can get a sandwich from their menu to go (and also pick up some groceries like their homemade soups or frozen meats) or grab a seat. Their warm charcuterie plate is not to be missed-three house made sausages with marinated peppers, fried potatoes and dijonnaise – suuuuper good warm meats and potatoes with a killer sauce! If you want to see something really cool take a trip to their restrooms – you can get a peek into their kitchen because you literally walk through it! Eataly Chicago – Eataly is a market that has different food counters and a super awesome wine selection – one can grab a little bite (like some salami and fresh mozzarella and fresh baked bread) and a glass (or two) of wine and then enjoy it with friends at one of their many high top table areas. Then one can pick up ingredients for dinner on the way out (or some gelato!) Did I mention they have a Nutella bar? 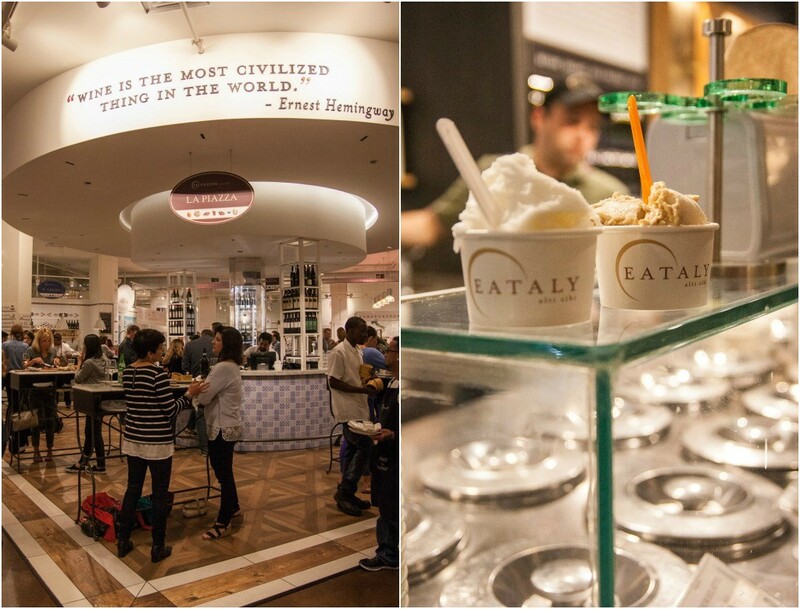 Eataly is one of my favorite Chicago meeting spots because you can browse the amazing selection while waiting for your friend to arrive. Frontera Grill– Give me a margarita after a long day and I’m a happy girl! Frontera Grill is impossible to get a reservation to for dinner (almost as difficult as Girl and the Goat) but one can always find a seat in their bar area (there are usually even tables where one can sit on a first come first serve basis). The margaritas and cocktails are off the chain amazing, and they have a great snacking/starters menu – their ‘just made chips and two salsas’ are definitely a must – along with their guacamoles! 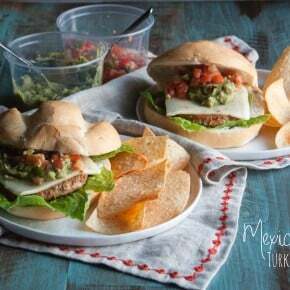 Honestly, everything on the menu is just deliciousness to the max! 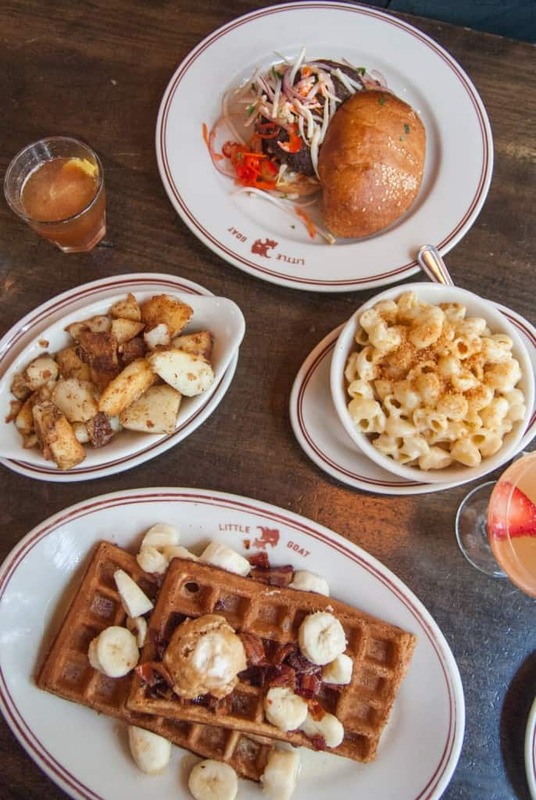 Little Goat Chicago – also on my breakfast/brunch recommendations, the Little Goat Diner in Chicago is top notch amazing! In the Fulton Market District (many other restaurant and bars close by) the Little Goat Diner is the sister restaurant to the famous Girl and the Goat restaurant. 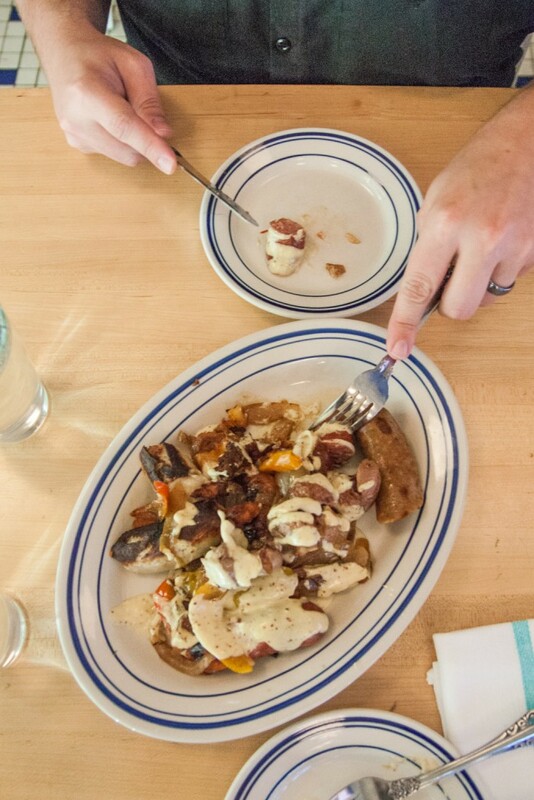 However, unlike the Girl and the Goat where one cannot get a reservation unless it’s 4-6 months out (no joke) the Little Goat Diner has typical diner food – but more upscale. For the burgers one gets to choose beef or goat, and if you’ve never had a goat burger, I would highly recommend it – goat is a little more gamey than beef, it’s good! They also serve breakfast all day and have a great cocktail menu! If you have a few moments to spare – check out their roof top bar – it is super cool! 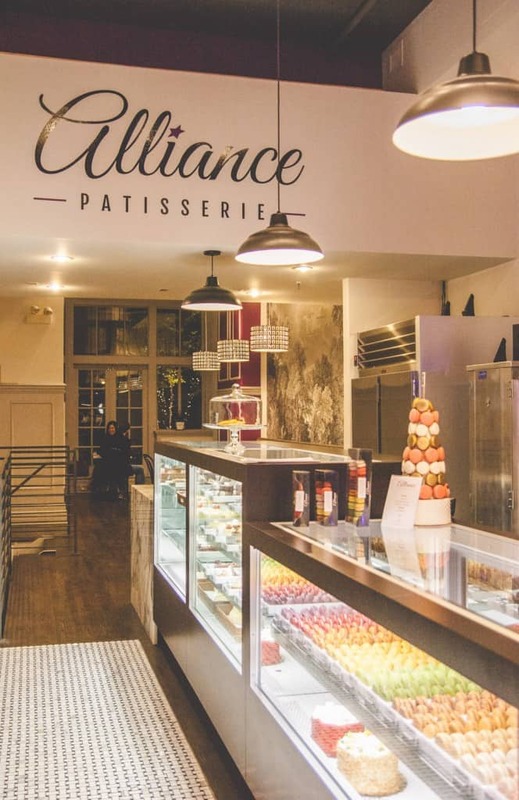 Alliance Patisserie has amazing French macarons and pastries, it’s also only a few blocks away from Eataly – definitely walking distance. 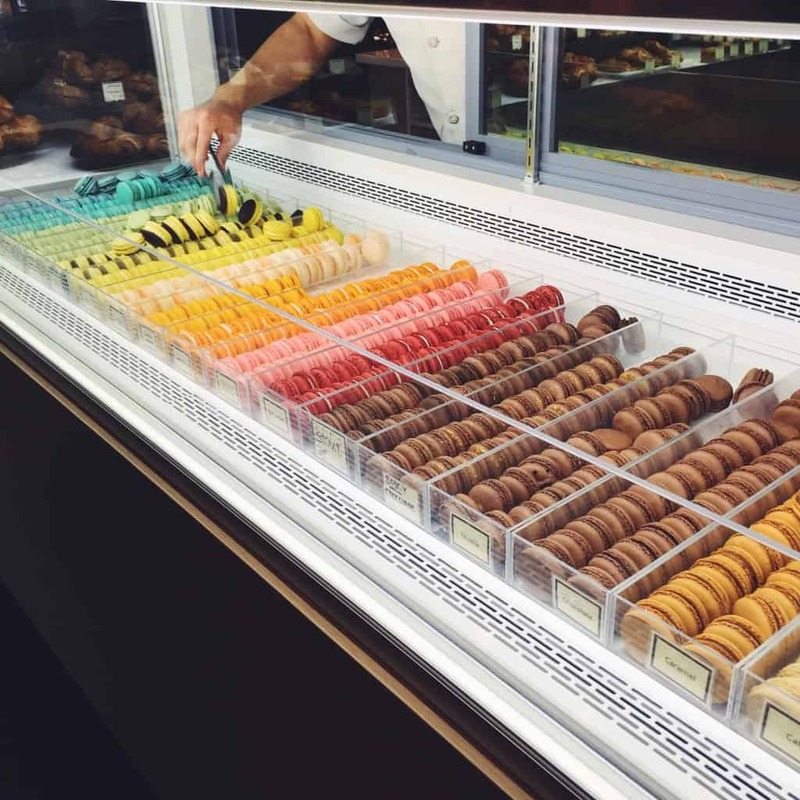 My husband, who has never understood the allure of French macarons like I did (I’m pretty much obsessed with them) changed his tunes after having them from Alliance Patisserie – he said that he finally understood what the rage was all about. They have tons of unique flavors – two of our favorites are the peanut butter and jelly and the pistachio. Adagio Teas is right next door to Alliance and they have a huge selection of teas (you can purchase both tea to make at home and a delicious cup of tea to go). Vanille Patisserie – Vanille has a great selection of fancy pastries and also a beautiful selection of French Macarons, and is down the street from Chicago Pizza and Oven Grinder! My favorite one here was a Boston Cream Pie macaron! Craving more recommendations? 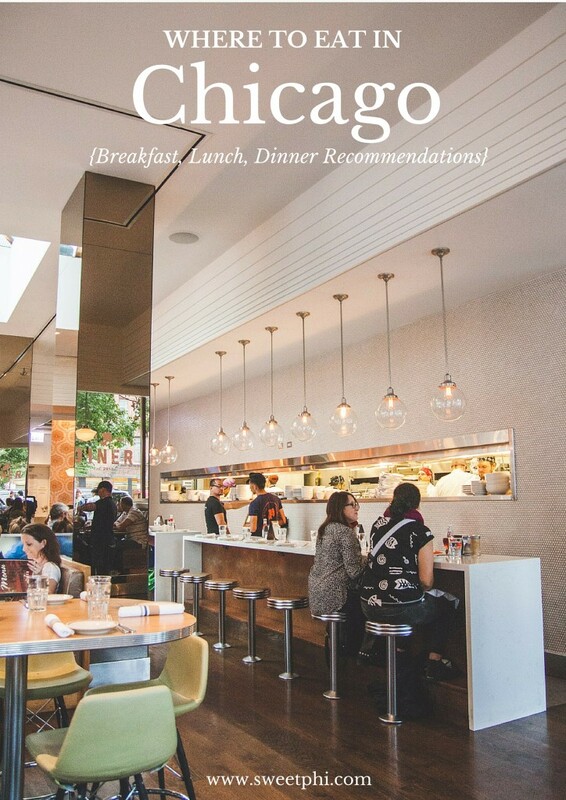 Heidi over at Foodie Crush has this incredible Where to Eat series wherein different food bloggers recommend their favorite places to eat along with tips, so for more Where to Eat in Chicago recommendations along with a beautiful illustration, click here. Have you ever been to Chicago? What are some of your favorites? Chicago is infamous for its deep dish pizza, right? :) Panos adores this style of pizza, that’s why he keeps ordering it from Hut (they sell it here as “pan pizza”), even though it’s as thick as a doughnut:) Our attempts to make the same dough at home have all so far failed though:) Do you have a recipe for Chicago-style pizza Phi?We’d love it if you could show how to make this delicious thing! 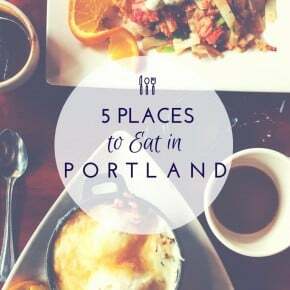 I definitely think you’d love some of these places, I want to take you to Eataly, it’s amazing! Loved getting macarons with you in Chicago! Miss you already! Macarons with you = one of my fave things ever. Macarons with you IN CHICAGO = DEFINITELY my fave thing ever 😉 Love you so much and miss you tons!